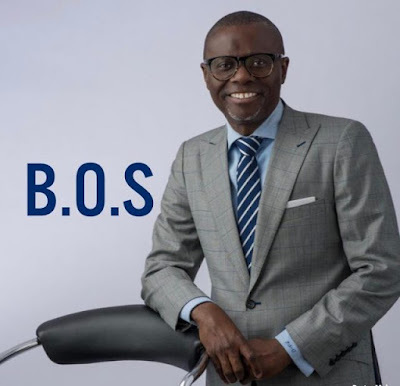 The chairman of the All Progressives Congress, APC, Lagos State Chapter, Alhaji Tunde Balogun has declared Babajide Sanwo-Olu the winner of the Gubernatorial primary election, held Tuesday, across the 245 wards of the 20 Local Government Areas of the state. By this declaration, Sanwoolu has emerged as APC flag-bearer for the 2019 governorship elections in Lagos State. Balogun, who described the exercise as free, fair and credible, maintained that it would be unfair to disenfranchised the 1.7 million registered members of APC following conflicting reports that has trailed the conduct of the exercise. The panel of the National Working Committee from Abuja deployed to oversee the conduct of the election earlier denied any knowledge of any conduct of election in the state yesterday. However, Balogun, announcing the results said, the incumbent Governor Akinwumi Ambode of Lagos State polled a total votes of 72,901, while Sanwoolu polled total votes of 970,851 to emerge winner of the contest. He said: “We thank the members for participating in the election to peacefully select APC standard bearer for next year’s election. “They did this with enthusiasm and dedication To be clear, an APC primary election was held in Lagos and this was in accordance with the party constitution. NigerianEye recalls that the Chairman of the National Working Committee of the All Progressives Congress (APC), Mr. Clement Ebri, on Tuesday invalidated the governorship primaries purported to have held across the State, saying that it never authorised such to go ahead when the modalities were not followed as scheduled.